Avago Technologies has agreed to acquire Broadcom in a cash and stock transaction worth $37 billion (€33.8 billion). Assuming the deal goes through, the combined company is expected to have annual revenues of approximately $15 billion, making it the third largest communications chip maker behind Intel and Qualcomm. The deal would also be the largest technology acquisition on record, according to financial analysts from Dealogic. The companies say the deal will create “the world's leading diversified communications semiconductor company” in both wired and wireless markets. Broadcom’s contributions to the portfolio of the combined company will include chips for Ethernet switching, broadband access and set-top boxes, as well as physical layer (PHY) chips for optical interfaces and transceivers (see for example, Broadcom announces PAM-4 physical layer transceiver). The company also is also a key supplier of network processors thanks to the $3.7 billion acquisition of NetLogic Microsystems in 2011. Avago, which started out in life as the semiconductor products division of HP, offers (among other things) communications ASICs and high-speed fibre-optic components, from active optical cables and transceiver modules to individual lasers, modulators and optical engines. The latter product range was much enhanced by the 2013 purchase of indium-phosphide specialist CyOptics. Avago is also big in chips for enterprise storage networks. The company had barely finished digesting the $6.6 billion purchase of LSI, when in February 2015 it decided to acquire storage networking vendor Emulex (see Avago to acquire storage networking specialist Emulex). 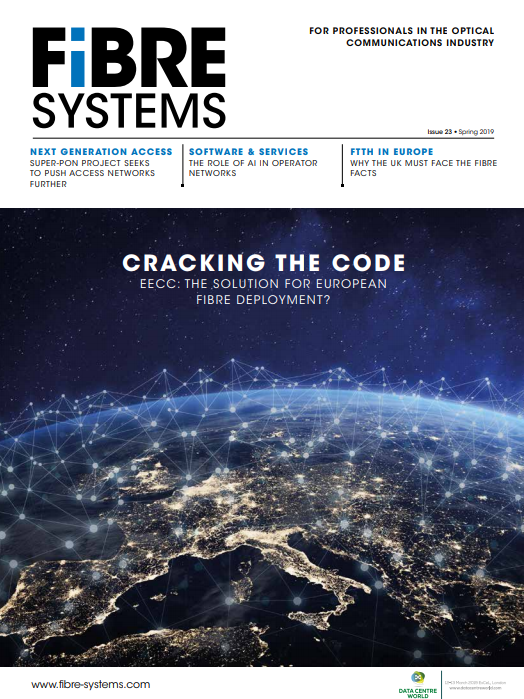 Together the pair look well positioned to capitalise on several key industry trends, including the global growth in IP traffic, the boom in data centre spending, and the rapid adoption of LTE mobile networks and connected home devices. Closing of the transaction is expected by the end of the first calendar quarter of 2016, subject to the usual shareholder and regulatory approvals. "Today's announcement marks the combination of the unparalleled engineering prowess of Broadcom with Avago's heritage of technology from HP, AT&T, and LSI Logic, in a landmark transaction for the semiconductor industry," said Hock Tan, president and chief executive officer of Avago. Post-acquisition, Avago’s Hock Tan will continue to lead the company, which will adopt the name Broadcom Limited. In addition, Broadcom chief technology officer Dr. Henry Samueli will continue in that role at the combined company. Both companies are keen to point out their high operating margins – Avago claims 38 per cent against Broadcom’s 24 per cent, and is shooting for 40 per cent in the long term – and a strong track record in integrating acquisitions. Avago expects to achieve $750 million of annual cost synergies within 18 months of the acquisition's close. "Avago has established a strong track record of successfully integrating companies onto its platform. Together with Broadcom, we intend to bring the combined company to a level of profitability consistent with Avago's long-term target model," Avago’s Tan pointed out. "When Henry Nicholas and I founded Broadcom, we had a vision of creating the world leader in communications semiconductors. Today's announcement is a continuation of that vision and we could not think of a better partner for the future than Avago," said Broadcom’s Samueli. Under the terms of the agreement, Avago will buy Broadcom using $17 billion in cash and 140 million Avago ordinary shares, valued at $20 billion as of May 27, 2015. As a result, Broadcom shareholders will own approximately 32% of the combined company. Avago intends to fund the $17 billion with cash on hand and $9 billion in new debt financing from a consortium of banks.